On Monday 15th May at 8pmBST we’re holding a tweetchat ahead of the 40 year anniversary of the 1977 Health Circular 77/33 – a landmark in our professions’ history in the UK that started the process for physiotherapy becoming an autonomous profession, giving physiotherapists the right to treat patients without prior medical referral. We’ll be discussing autonomy and practice, and joined by Chairs of the Chartered Society of Physiotherapy past and present including our hosts, current Chair Catherine Pope and Joyce Williams, Chair from 1982-85. 40 years ago physiotherapy practice was centred on electrotherapy and hands-on treatment techniques developed by people such as Bobath, Maitland, Cyriax and Mackenzie; with patients routinely attending physiotherapy 2 or 3 times a week for several weeks. What do we practice now that will be considered obsolete in another 40 years – or should already be obsolete? Yet many of the developments from that time, including the confirmation of autonomy in 1978 and the increased focus on audit, outcomes and evidence, (the first physiotherapist was awarded a PhD in 1981 and physiotherapy became an all-degree entry profession in 1992), have directly led to the way we practice physiotherapy today and how we will in the future. 40 years ago clinical autonomy was limited by the continuing tradition of doctors prescribing and gate-keeping access to physiotherapy. Now it is more likely to be limited by commissioning decisions, local interpretation of NICE guidelines, and restricted financial resources. The 1977 memorandum paradoxically reminded physios that the CSP’s own code of practice prevented them from treating a patient without a doctor’s prior referral -what developments in our profession and services now are held back by us rather than by others? That clinical autonomy achieved 40 years ago has led to widening physiotherapists’ scope of practice including injections, prescribing and undertaking diagnostic tests. What are the new frontiers and where will they lead the profession and how will they improve patient care and outcomes? In 1985 the Society of Remedial Gymnasts and Recreational Therapy merged with the Chartered Society of Physiotherapy. Who are our collaborators and competitors now and what should our approach to them be? Should we merge or compete, or could we become obsolete ourselves? Are we still grappling to describe our USP? We hope you can join us for this tweet chat where we will consider how we can learn from past challenges and our success in meeting them as we look forward to the next 40 years. What does clinical autonomy mean to you and for patients? What can we learn from our professions’ history? What limits clinical autonomy for physiotherapists in 2017? Do we have more or less autonomy than 40 years ago? What are the new frontiers in our scope of practice and how can we achieve them? What will we not be doing in another 40 years that is standard practice now? What will we be doing that isn’t? Who are the modern day challengers to physiotherapy, and how should we respond? What are the priorities for physiotherapy over the next 5 years? 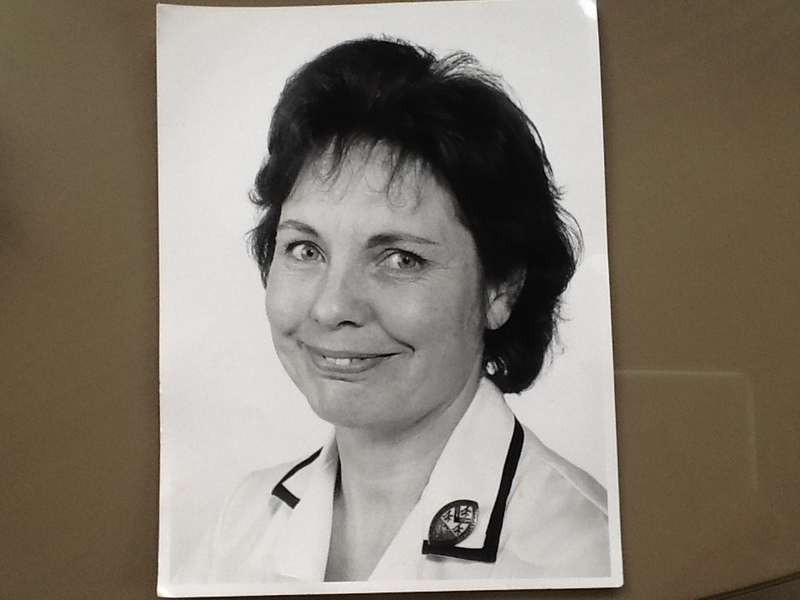 Joyce Williams was chair of Council from 1982-85, when Catherine Pope, the current chair was a student physiotherapist. Joyce is known for her work on calculating physiotherapy caseloads and the “School for Bravery” approach to challenging illness behaviour, both of which were pioneering at the time and still relevant to the profession today. Catherine’s contribution is in challenging attitudes and promoting the role of physiotherapy in mental health. They will be joined by other previous chairs of CSP Council for this tweet chat.